Lakson Group Launched their own Pakistan television news channel based in Karachi. 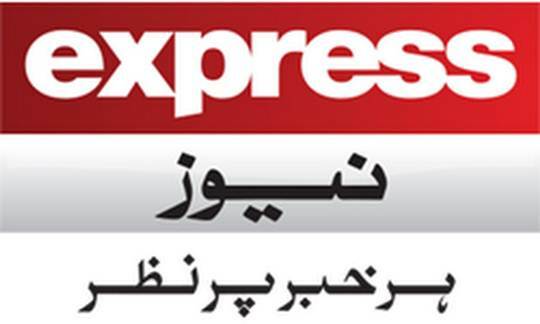 Express News Channel was established on 1st January 2008 and it has the Pakistan’s Third Biggest Urdu Daily News paper that is called daily express newspaper that is working now in all over the pakistan. They established more channel in pakistan after the success of Express News Channel of Pakistan Television. They offer handsome salaries to their employees that’s why all the mass-communication candidates are want to join the express news channel or Newspaper to set their future bright. But now their wait has been finished because express news channel has launched their jobs for TV Reporter and all of those candidates has chance to join the express news channel. You must apply within due dates because after due dates application form will be rejected. Express News has invited the application form by the eligible and interested candidates for career opportunities in the express news channel as a news reporter this year for many of cities and locations in Pakistan. And Candidates must must have the Bachelor degree. They Must have excellent English skills in Spoken writing and reading with good ex-cent , proofreading skills, Strong editing, current events knowledge, social media pages and Web Surfing as well. All the applicants who are competent, highly skilled and they have seeking for such job they should apply for the Express News Channel Reporter and this opportunity is for both Male and Female Candidates. Here you will get all the information about the News Reporter job 2019 in Express Group. You can get complete information about the Jobs like job requirements, applying procedure, last date to apply and interview schedule as well. Candidates must have passion for Journalism. Applicants must have an interest in current affairs and have knowledge of the political history of Pakistan. Applicants must be fluent in written and spoken Urdu and English. Previous experience is not necessary but will be preferred. For the Further Details you must stay with us and in case of any issue and query you can contact with us in our feedback system we will get you back very soon.